Thirty-six thousand kilometres below, citizens in the mega-city of Atlanta, Georgia, look to the sky as a massive ship plummets from orbit, the dying remains of the largest deep-space warship ever built… now the largest bomb ever conceived. Sol War 1 has begun. 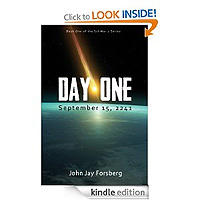 Day One is the first book in a riveting, multi-book military science fiction series that chronicles the Outer Colony’s war of independence against Earth. A good first novel Day One takes an original approach to telling its story by being split into two parts, the first half being a historical retrospective informing us about the stories universe before getting into the narrative proper. As a fan of well-thought out sci-fi I loved it, finding the progression of history from the modern day to start of the story worryingly plausible. Without giving away any spoilers the story, both the historical aspects and the more tradition telling, is well written and well paced, with even the retrospective section keeping my interest throughout. 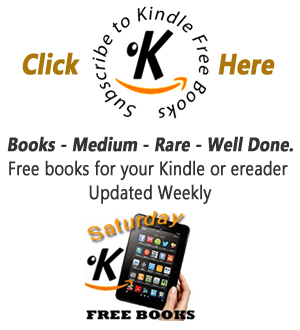 The author also makes good use of the sci-fi setting while keeping the science and technology relatable and plausible without spending too much time going into excessive details. In the second half of the book, the novel proper, the characters are believable and the action scenes gripping. Overall it's a good length, although I would have welcomed more, and I am looking forward to book 2! This is a complex book with more acronyms than a computer techies CV, but if you stick with it the story is rewarding. Given that it is about a single day it also gives hundreds of years worth of back story and character development.